Grand Rapids officials are working on a massive long-term plan to restore habitat in the Grand River and revitalize downtown. Initially, the plan was just to restore the river rapids that gave Michigan’s second-largest city its name. But now Grand Rapids city planner Suzanne Schultz says the plan is much broader. “This is huge, really, really huge, but it’s exciting,” Schultz said. 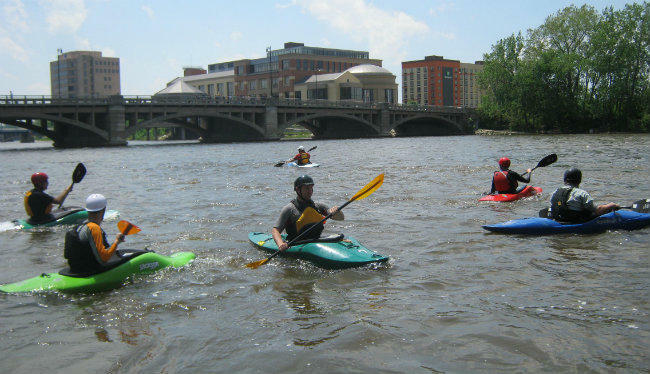 The plan encompasses 10 miles of the Grand River, all of downtown and nearby neighborhoods. But Schultz says they’re also looking for big ideas from people throughout the region. It’ll consider parking options, retail and residential developments, plus bike lanes and trail connectors, better flood protection and a whole lot more. “We want to know, what are those things that they really think could push us to that next level?” she said. People can weigh in during a series of meetings that begin this week and last through at least January. Schultz described the initiative, known as G.R. Forward, as a type of master plan with “implementable chunks” embedded within it. You probably know Rob Bliss, even if the name doesn’t ring a bell. He’s the guy behind the Grand Rapids lip-dub video, the Pure Michigan sing-along ad, and now, the street harassment video that’s racked up 16 million views on YouTube. In case you still haven’t seen it, the two minute video follows a young women in jeans and a t-shirt walking through New York. Bliss says they spent 10 hours filming with a hidden GoPro as the actress, Shoshana B. Roberts, endured more than 100 instances of street harassment, including stalking. 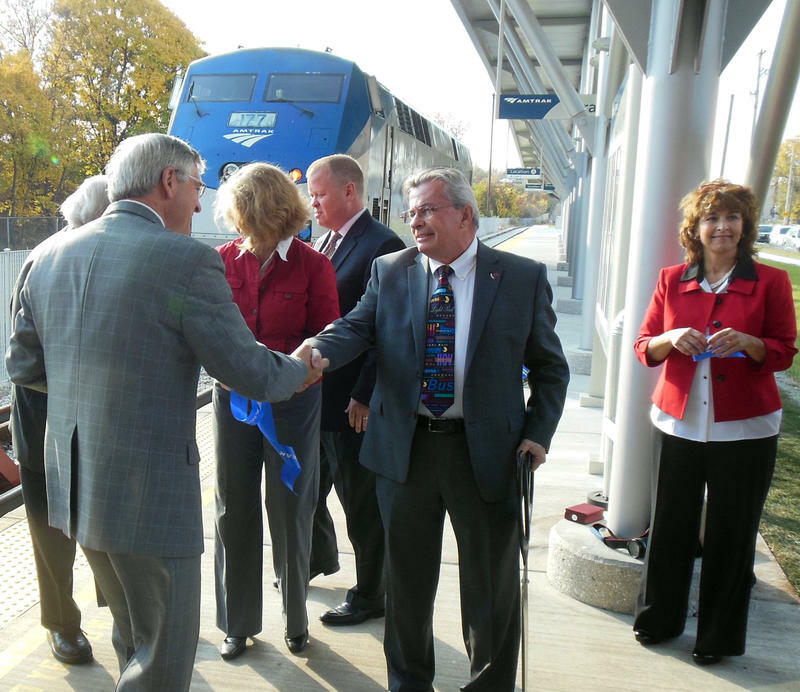 Amtrak riders in Grand Rapids will notice a huge difference the next time they board a train. A new $6 million station opened today. Grand Rapids' old Amtrak station was tiny, dingy and outdated. Tim Hefner, director of Michigan Department of Transportation’s office of rail, says the old station was supposed to be a temporary one when it was built almost 30 years ago. At the ribbon cutting ceremony Monday, state and local officials cracked jokes about the old “Am-shack." An effort to restore the rapids into the Grand River is getting a boost from a new federal partnership. The rapids that gave Michigan’s second largest city its name are long gone. Hydraulic dams that used to power the furniture industry are major safety hazards for small boats and kayaks. They also block fish like sturgeon from spawning upstream. 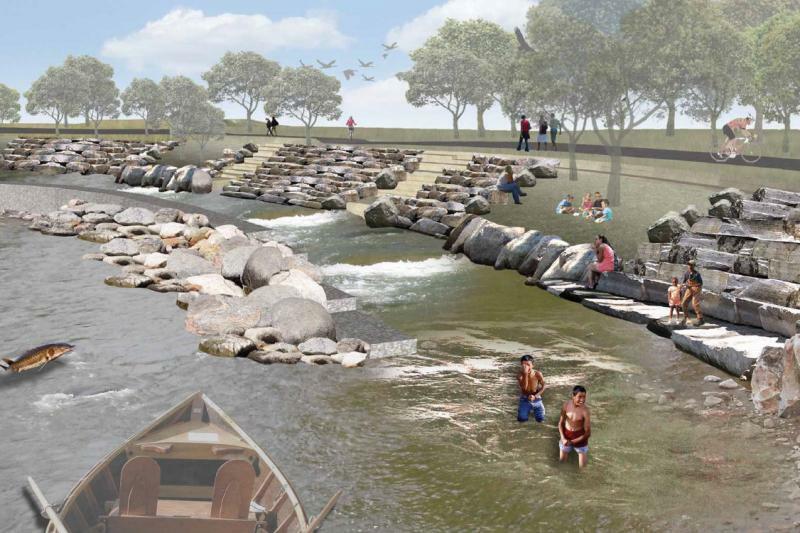 The preliminary plan to restore the rapids to a two-mile stretch of the Grand River is out. It’s the first real look Grand Rapids has gotten at the proposed project.